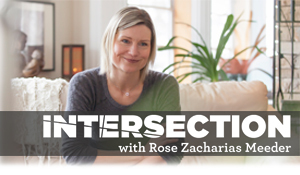 Join Rose Zacharias for honest and informative conversations about life, faith and what it all means. Each episode, Rose sits down with everyday people to discuss their story and where God may or may not fit into the picture. As a medical doctor, but also as a busy mom, wife, friend, Christian, and runner she discusses topics such as depression, suicide, addictions, trans-gender issues, cancer, divorce, infertility, near-death experiences, parenting, marriage, and love.